The Empire has taken everything from Ember. It's time for payback. Ember doesn't have time to mourn. She's got big plans - save the oppressed flickers, rescue Stefan, and bring the Empire to its knees. But she soon discovers that her ability has a terrible, unthinkable cost. Can Ember choose between the man she loves and the Empire she hates? Stefan has succeeded in helping Ember escape. His grandmother's prophecy is being fulfilled, and he's ready to face execution for his part in it. 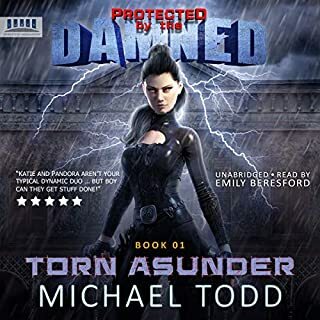 But when he uncovers the Union's deadly secret, Stefan realizes he must survive long enough to find the Union's base and warn Ember - before she pays with her life. this genre will be entertained. The Narrator had a good command of the material and made it a enjoyable experience. More great story and narration! This story is great! And the narration is great! I just got Book 3 and I can't wait to listen to it! Rebecca Rode and Stacey Glemboski GREAT JOB! Have absolutely LOVED every second of this series! If you love an adventure in a world where anything is possible, this is your next series!!! Sit down,buckle up, and hang on! You will not be disappointed! The story is top-notch and so is the narrator. Would give more than five stars if I could to both. I was given this free review copy audiobook at my request and have voluntarily left this review. 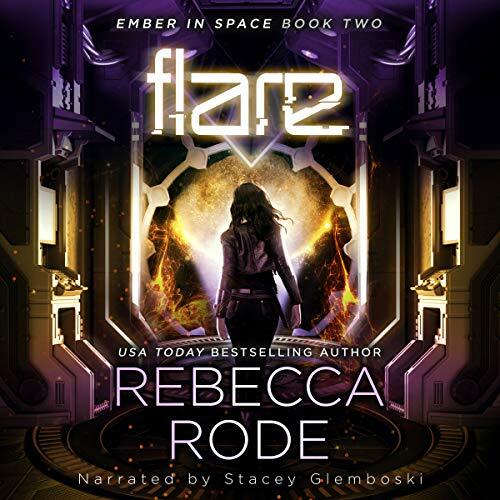 This review is for the audio copy of Flare: Ember in Space, Book 2, by Rebecca Rode and narrated by Stacey Glemboski. I really enjoy these stories. They are great to listen to and they keep getting better and better. 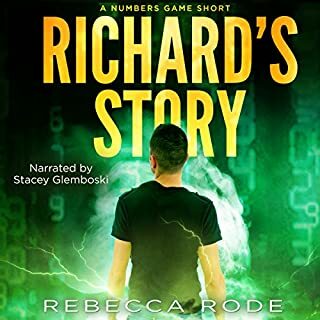 I have been a fan of Rebecca’s since the Numbers Game Saga. This series is just as good. And you can’t have an audible version of these stories without Stacey doing the narration. She is my favorite female narrator and she makes these stories come alive in my mind. Keep up the great work you two! I loved the first book so when I saw this I had to get my hands on it. 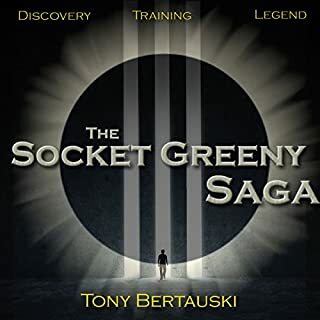 My only problem is the main character who I hoped would have changed a bit unfortunatley not and I found that frustrating but the author is really good at suspense and intrigue. She had me listening until the very end. There are a couple of suprises that I did not see coming and it does end on a cliffhanger. I have to say I was surprised with the ending I was expecting something else to happen I can't for the life of me understand why it did not happen. But other then this it is really good. I am glad that the author used the same narrator. When you get used to a particular book for a series you would like the narrator to read the others in the series. Sometimes that is not the case but not so here. When I heard her voiced I remembered listening to the first book and what happened. I would recommend this to those who love YA, SciFi and fantasy. I absolutely loved this book! I loved the first one, and the second continues the awesomeness. Ember is coming more into her own here, and finding out desperate truths about who she is and who are the people she serves. There's a great villain that rises up, and excellent action and political intrigue all around. 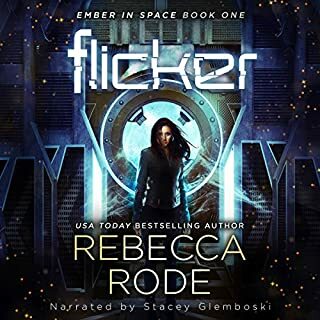 One of the things I love about this series is that Ember is already the outsider, and she views life from a metaphysical/spiritual perspective vs strictly scientific like a lot of space opera. The story, told in that way, feels a lot like fantasy even while there's a grounding in genetics and science. Really love that! It makes it all the more unique. The narration, as in the first book, was excellent. I love how she portrays Ember, with her accent that places her apart, and both vulnerability and grit. Wonderfully performed narration! I really enjoyed the first book of this series. I have been waiting for this second book to be released. I definitely enjoyed this book too, though not quite as much as the first. Without giving any spoilers, I’m just not a fan of romantic drama. There are some excellent plot points that were introduced and then properly explored. The mystery of Ember’s past and family history is one of those points, along with the Emperor’s Daughter. There is also some compelling character development of Ember, but also a few others. Stacey Glemboski did a fabulous job of narrating. Her gypsy accent really sets Ember apart from the other characters, and she doesn’t strain to perform the male voices. Her storytelling is excellent too. I definitely enjoy her work. 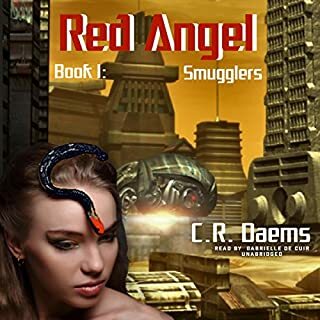 This is the second book in a sequel about Ember, a young Roma woman, who has the extraordinary power to control the life force, or light, of those around her. The first book impressed me with its premise and delivery. This book takes off from where the last book ended. Ember and her refugee friends are off to meet the Daughter. Ember is helping her in hopes to get back to Stefan so they can eventually flee the conflict entirely. Ember is strong as a character, but she goes through a lot in a short time. This makes her go through an emotional journey that might make her seem weak. 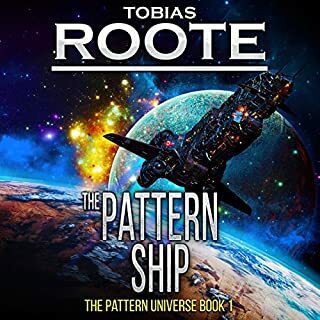 The big change in this book is the introduction of Commander Caine's son Ruben, who looks like the spitting image of his father, but he holds one vital secret. He's a wily character who appears to serve no one's interest but his own. It comes up near the end as the story sets up for what will be book three. Because I did listen to this via audio, it is worth commenting on Stacy Glemboski's performance. Her accent for Ember is very distinct and consistent. I don't know if this really is what modern Roma sound like, but I appreciate that it's always clear. The rest of her narration just makes it easy to slip into the story. That's how good narration should be. I do recommend this book, but realistically it is better for those who have already read and enjoyed book 1. If you haven't read either of them, some selling points are that this is a space adventure with a POC heroine. There are battles and military, different humanoid cultures. This could be read equally well by both YA and Adult readers. Disclaimer: I voluntarily received a copy of of this in exchange for an honest review. Like book 1? Won't be disappointed with book 2! This book is definitely best pickup up immediately after book 1 as it jumps right back into the story where the first left off. With that said, it was just as enjoyable as I remember the first book being. We get to hear how Ember grows into her power, and how her perception of her power changes as the book progresses. Without spoiling anything, I feel like there was a satisfactory amount of story progression and the book ends in a satisfactory manner while also setting us up for an interesting continuation in book 3! Stacey Glemboski's narration was top-notch! Great character voicing (really great Ember voice) and overall performance. I look forward to hearing her narrate book 3! Definitely a recommended listen if you enjoyed book 1! In book two, Ember becomes Lady Flare (it's not a compliment.) I'm not sure I like this Ember. I mean, she was still a total badazz and can kill people with a thought, but she had some seriously bad decision-making in this book. Seriously. Bad. Her survival in book one was hard fought with even harder lessons learned. Or so we thought. In this book, it's like Ember forgot what she was fighting for, or who, and kinda became the enemy. Kinda. Through it all, the narration was beyond exceptional. Glemboski was clear and concise and was quite effective in bringing out the mental tug-of-war that Ember/Lady Flare endured. I liked how this book ended and look forward to the next installment. Excellent 2nd book in the series. We see some great character development in Ember in this book. Her judgement is massively impacted by the events that have brought her to where she is and she's having difficulty in trusting anyone and in deciding which direction to go in. Very human in her ability to cope. The complimentary characters surrounding her in terms of the recruits and the man she saved/didn't kill also add a good depth to the story. Our new adversary is also excellently written. It's hard to describe without giving spoilers so I will leave it at that. I like the development of Embers abilities. It fitted in nicely with the story and wasn't over the top. I think there's probably room for further developments as well. The story on the whole was great. Lots of pace, great characters and a fascinating world in which it all occurs.